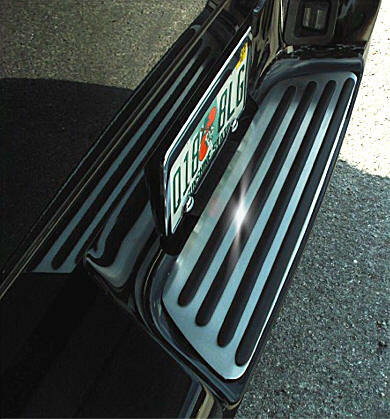 Stainless steel Trim plate really dresses up your back bumper step. Easy installation. Peel and stick. Solid heavy gage Stainless Steel. Will not rust, corrode, or stain. Once mounted properly - will stay in place without coming off. 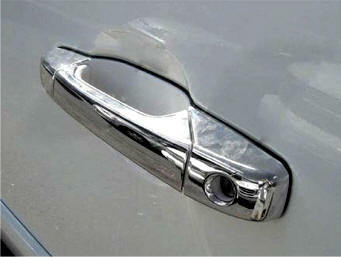 Door Handle Covers are built from ABS plastic and keep their good looks in harsh weather. Their high-quality design won't yellow or age in the desert sun or Rocky Mountain snow. No matter where you take them, these door handles reflect cool style you can't get anywhere else. What's more, these pieces install over your existing door handle without you altering a thing. 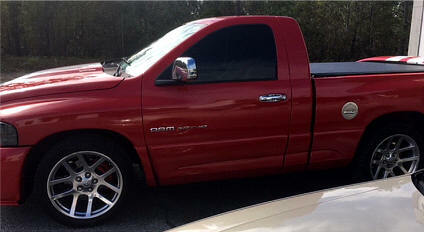 Deck your ride with modern chrome and get noticed today. No drilling or cutting required. Tailgate Handle Cover. Pops on in minutes, adding eye-dazzling shine. 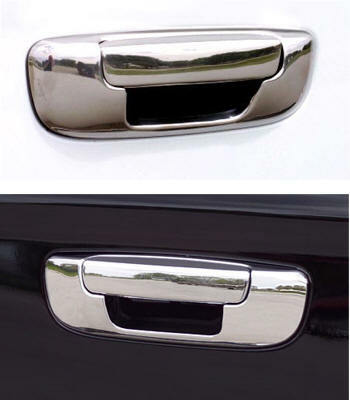 Made from automotive-grade chrome-tone ABS plastic Tailgate Handle Covers are custom-molded to hug the contours of your specific tailgate handle. Don't worry about having the right tools. 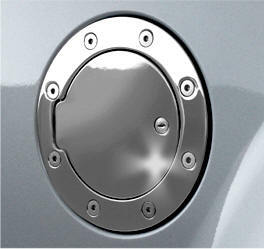 Chrome Tailgate Handle Covers require no part removal, cutting or drilling. Just use the pre-applied heavy-duty 3M tape for an instant epoxy-like fit that won't come loose. 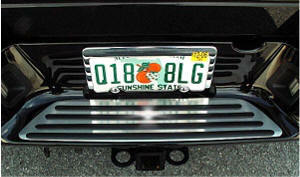 Great for accentuating the factory chrome on your vehicle, or the perfect starting point for an extreme chrome makeover! Dramatically enhance the look of your mirrors and perfectly match the rest of your vehicle's trim! 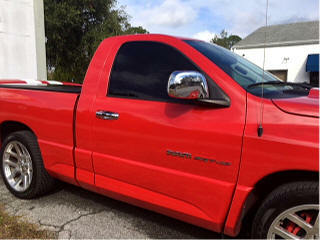 Chrome Mirror Covers do both with ease, offering a smooth and brilliant shine to the back of otherwise dull side views. 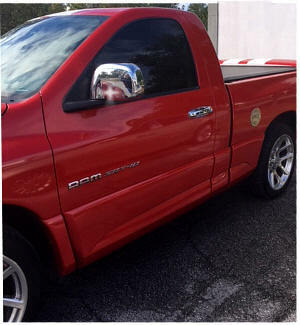 Crafted from automotive-grade ABS with a durable chrome plating, Chrome Mirror Covers are tough enough to handle all of the abuse your mirrors take: tossed rocks, pounding weather and exploded bugs. And, the bright chrome plating will never yellow like a steel cover. With a custom-molded shape, Chrome Mirror Covers pop over the back of your stock housings in seconds without needing to remove any parts. Your Chrome Mirror Covers stay in place with pre-applied, heavy-duty 3M adhesive tape that holds tight to a cleaned surface. 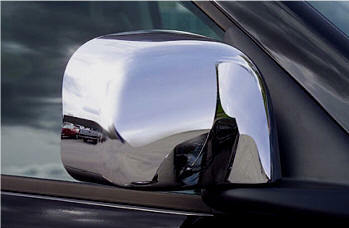 So pop a little limited-edition style onto your mirrors-it takes just minutes with Chrome Mirror covers.